Whether or not you use your bike everyday to commute to work, or just once in the summer when the Tour de France starts up, a dedicated space for bike storage is a necessity. Forest, manufacturers of quality FSC timber garden storage products, has a unique, neat solution when it comes to storing bikes and cycling equipment this summer and beyond. Do you keep yours in the shed, garage or hallway? We all have different solutions to bike storage and most – such as keeping them in the hall or porch – lead to problems with space and security, as well as simply being awkward and creating a mess. 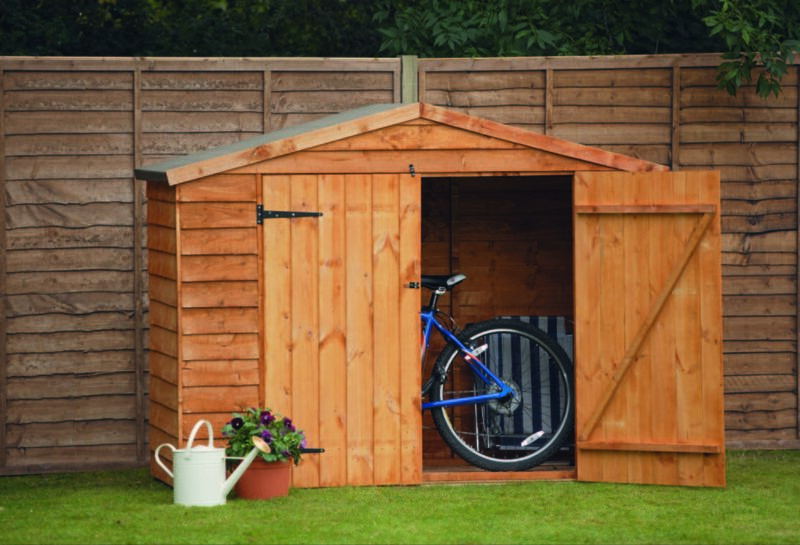 Keeping bikes in lockable external buildings such as garages or sheds has both advantages and disadvantages. If you have enough space, a shed or a garage can be a great area for storing multiple bikes – but they will get caught up and tangled if there’s no room for them to be hung up on special racks. Security can be an issue too. Although garages and sheds can be locked, they are more of an obvious target, especially if they have windows for potential thieves to look into. One way of addressing issues of space and security is with the Forest Timber Bike Store, RRP £224.99. It’s an ideal storage unit for those looking to address security and space concerns. Plus as an attractive garden feature, it can also add to the perceived value of the property without giving away the value of its contents. The double doors open out to allow easy side access for the storage of up to two bikes, including locks, pumps, helmets and other gear. And at 161cm high, 213cm wide and 85cm from front to back, you will also get back that extra space and more in your shed, garage or hallway! Forest’s range of FSC garden timber products are available to view and order on online at http://www.forestgarden.co.uk.